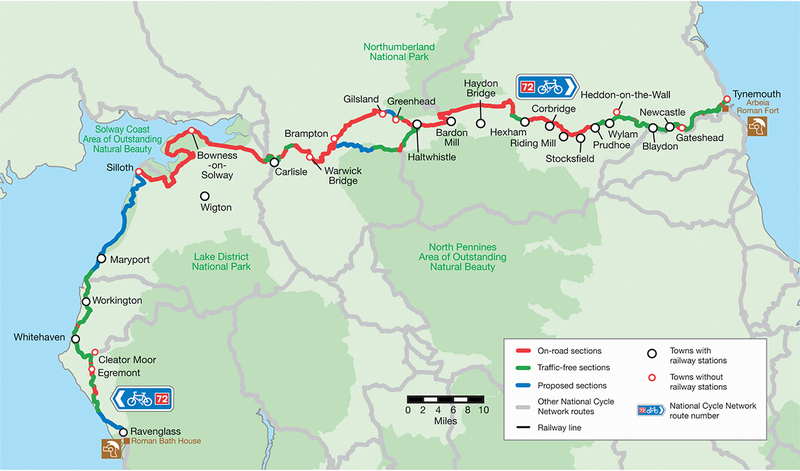 ​National Cycle Network Route 72, passes through Hexham. Most of it follows well-surfaced gravel cycle paths, tarmac cycle paths and quiet minor roads. There are no difficult off-road sections, but there are a few steep, short hills in the central section (up to 150m height climb).